The Neligh Lions Club met on Thurs., Oct. 8 at the Lions Den with 20 members and 3 guests present. Guests included Dist. Gov. Bob Arp and Lion Wilma Arp of Columbus and Deanna Martinson of Oakdale. In honor of the International President, Dr. Jitsuhiro Yamada, the tables were decorated in a Japanese theme with several items from various collections and paper “cranes” made by Connie Henn, Art instructor at Pope John. Lion Bill Alderson explained about some of the items and the Lions vests being worn. Hosting numerous exchange students over the years, the Alderson’s have many items of apparel as well as collectables. Following a 6 p.m. dinner, the Business Meeting opened with the Pledge of Allegiance and the Lions Pledge, led by Lion Bill Alderson. Introductions were made and Roll Call taken. Pres. Bev Alderson reported on the first segment of the Lions Purposes. A reading was presented by 1VP Becky Springer on “White Cane Day,” Oct. 15 – a day set aside nationally to make Americans aware of blind and/or visually impaired citizens. Each person present then made a “white cane” in recognition of the set-aside day. Dist. Gov. Arp presented an interesting and informative talk on his recent trip to Hawaii to attend the Lions International Convention with 22,000 other Lions from around the world. He presented an antique steel lion bank to the club in awareness of “…contributing to society and never failing to lose our vision in why we’re Lions: to SERVE HUMANITY.” He spoke of several ways Lions contribute world-wide to help meet the needs in health care and natural disasters. 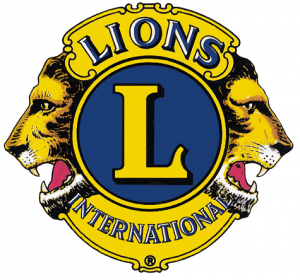 Lions Clubs International is the largest “service club” in the world, not receiving any government aid. Members will gather this week to pick up trash along a section of highway 275 near Neligh. Upcoming in November they will attend the Fall Rally in Grand Island. Pres. Bev, the Nebraska Youth Exchange Chairperson, will speak on the Exchange Program; handing out Host Family forms. Locally, families interested in becoming hosts to foreign students of high school age may contact her for more information. Secretary Barb Mahnke was presented a gift for being the Sept. “Lion of the Month.” Lion Duane Gunderson was awarded a pin for bringing in two new members the past year. Lion Bill Alderson thanked Lion Wayne Ives for the contributions he has made throughout the years to the Neligh club. He and Lion Barbara Ives will be missed; they are moving to CO. Lion Wayne has led the group in singing as well as sharing solos many times. The November 12th meeting will reflect the importance of being aware of the symptoms of diabetes and the need for proper nutrition.